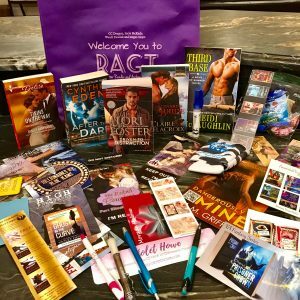 Want to keep up with all of Lori’s new releases, contests, signings and more? Now you can have updates sent directly into your email inbox. This is different from Lori’s Newsletter and requires a separate sign-up. 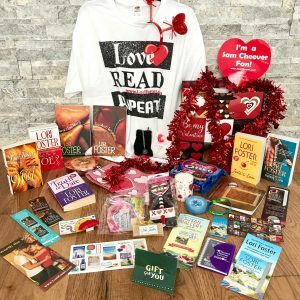 For #ThankfulThursday we have a goody bag filled with a special Valentine’s sweets, dish towel, candle, headband, T-shirt, Delicate “Wish” necklace, Barnes & Noble $10 gift card and author swag, + a collection of Lori’s classic books, all autographed, including Wild, Say No to Joe?, Truth or Dare, Jude’s Law, Murphy’s Law, Never Too Much, and Too Much Temptation. If you LIKE Lori’s Facebook page, you’re already entered to win! One random winner will be drawn from Lori’s LIKEs at 8am EST, Friday, February 8. If you are more than ready for summer, get warm with this Chapter 1 sneak peek from Lori’s new story, Sisters of Summer’s End, book 2 in the Summer Resort series due out on June 11. Meet Maris and Joy in the excerpt, and then pre-order in paperback, audio, ebook, or hardback today! Say No to Joe? Say Yes! Where there’s a Joe, there’s a way! Say No to Joe?, a Lori classic, is now on ebook sale for $1.99 through March 3 — definitely something to say yes to! If you haven’t yet met met Joe and Luna, read an excerpt and order a copy before the sale ends. Meet Nick and Josie in this excerpt and then order your copy before the sale ends. 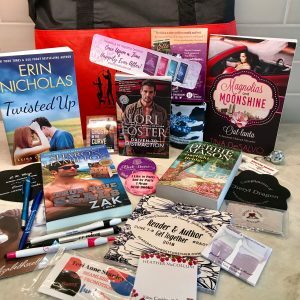 For #ThankfulThursday we have an #RAGT 2018 goody bag filled with a variety of fun author swag + books by Janice Maynard, Cynthia Eden, Claire Delacroix, Heidi McLaughlin & an autographed copy of Lori’s newest book, Driven to Distraction. If you LIKE Lori’s Facebook page, you’re already entered to win! One random winner will be drawn from Lori’s LIKEs at 8am EST, Friday, February 1. That’s Right – First Time (in a long time) on its own in paperback! Treat Her Right, book 4 in Lori’s PI & Men to the Rescue series, has just been reissued in digital and mass market print formats for you to enjoy. This is the first time in a very long time that this story has been made available on its own as a paperback (plus, the old edition is out of print). This edition also includes a free bonus story by Brenda Jackson, In the Doctor’s Bed. Will statuesque fitness expert Wynn fall for single-dad paramedic Zack? Read the excerpt, see all the ways you can read this story, including Manga, and order your copy today! 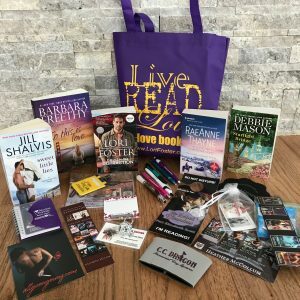 For #ThankfulThursday we have a Lori Foster “I Love Books” tote bag filled with a variety of fun author swag + books by Jill Shalvis, Barbara Freethy, RaeAnne Thayne, Debbie Mason & an autographed copy of Lori’s newest book, Driven to Distraction. Contents of the goody bag may vary slightly; additional swag, not pictured. If you LIKE Lori’s Facebook page, you’re already entered to win! One random winner will be drawn from Lori’s LIKEs at 8am EST, Friday, January 25. Lori’s classic novella, Outrageous, has been reissued in ebook format with a hot new guy on a hot new cover! Read an excerpt, listen to an audio clip, check out the Manga version, then pre-order your copy today so you have it in hand when it releases on May 13. Say yes to Lori’s classic novella, Say Yes, which has been reissued for the first time in ebook format. If you haven’t yet met Sara and Gavin, read an excerpt, listen to an audio clip, then order your copy in your favorite e-reader format today! Subscribe to LoriFoster.com Site News & Content Updates to be notified whenever new content becomes available: events, cover reveals, new excerpts, great press... Whenever the home page is updated, you will be, too—one to three times a month. This is different from Lori's newsletter, which requires a separate subscription.